The Troy City School District is pleased to announce Jared Walpurgis as its Valedictorian and Elizabeth Nelligan as its Salutatorian for the Class of 2018. Jared participates in the Science, Technology, Engineering, and Mathematics (STEM) program at Rensselaer Polytechnic Institute (RPI), which is a part of the New Visions opportunity for high school seniors. This is a highly competitive program and only the top high school seniors are selected to participate. As a junior, he received the RPI Medal. 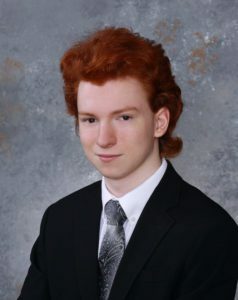 This year, he is a recipient of the NYS Board of Regents Merit Scholarship for Academic Excellence, the Louis Henry Gross Foundation Sponsorship, the O’Haire English Literature and General History Award, the Elizabeth Buckley Memorial Award and the Troy High School Math Department Award. Jared has also been recognized as having the highest score on the Level 4 Spanish exam. Jared is a member of the National Honor Society as well as the Math Honor Society. Throughout his high school career, Jared has participated in the Environmental Club, the Robotics Club and Moody’s Mega Math Challenge. He will graduate with a New York State Advanced Regents with honors and 30 college credits from Hudson Valley Community College, University at Albany and RPI. He will continue his education at Northeastern University in the fall. Elizabeth is the daughter of Robin and James Nelligan. 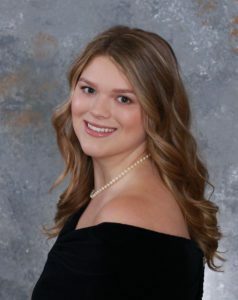 She has earned the distinct honor of being named Salutatorian of the Troy High School Class of 2018 with a grade point average of 98.81. Elizabeth participates in the New Visions Medical program at Samaritan Hospital where motivated students gain first-hand experience in the medical field. The program integrates rigorous college-level academics with hands-on experiences. As a junior, she received the University of Rochester Bausch & Lomb Honorary Science Award. Elizabeth was also the recipient of the 2017 YMCA Outstanding Student Award. She has completed internships at two research facilities. Elizabeth is Vice President of The National Honor Society and a president of the Student Council. She received a Student Council Contribution Award as well as a Student Council Leadership Award. She is also President of the Spanish Club. Elizabeth has been recognized and honored with the award for the Highest Cumulative Average in Spanish 1, 2 & 3 and a Spanish Club Participation Award. She is a recipient of the NYS Board of Regents Merit Scholarship for Academic Excellence, the Louis Henry Gross Foundation Sponsorship, the Class of 1968 James A. Spain Memorial Award, the CSEA Graduate Incentive Award, and was recently honored at the Capital Region Scholars Recognition Dinner. Elizabeth has received 28 college credits from Hudson Valley Community College, University at Albany and Russell Sage College. She will receive a New York State Advanced Regents with honors and will continue her education at Cornell University in the fall.